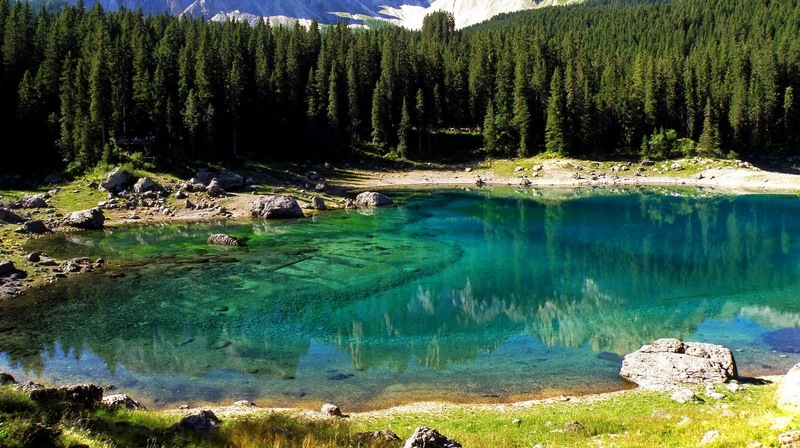 The Karersee is located in South Tyrol Italy and is considered one of the most beautiful of the many Alpine lakes. 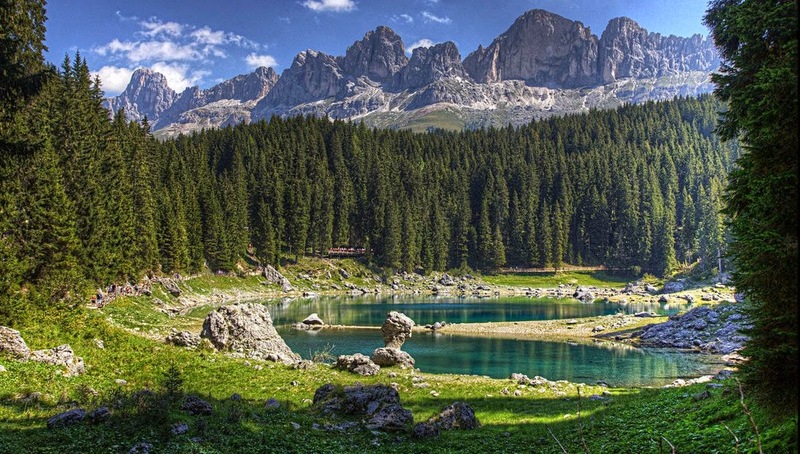 The lake lies in the western Dolomites, about 25 kilometers from Bolzano at an altitude of 1,520 metres in the municipality of Nova Levante. 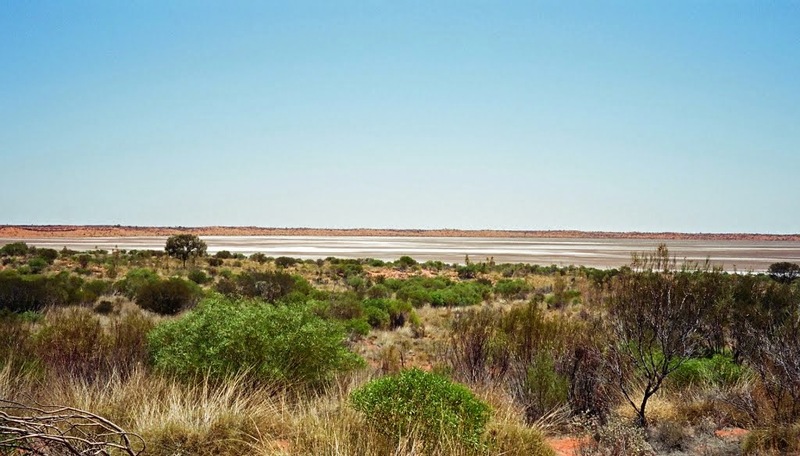 It is not particularly large: approximately 300 m long and 130 m wide. 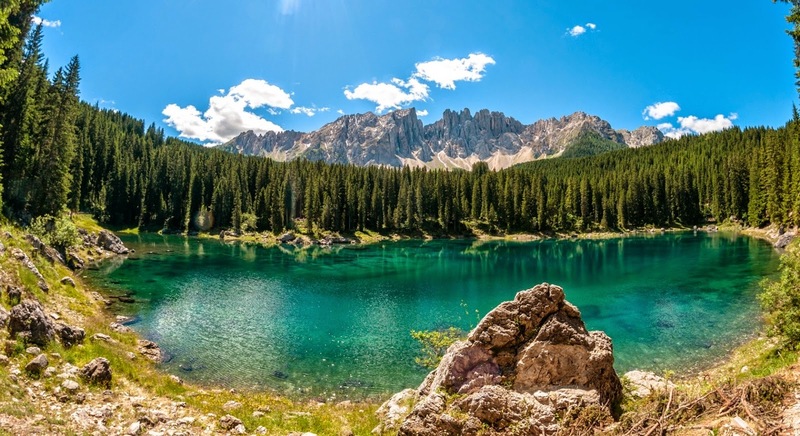 Lake of Carezza in Val d'Ega valley is well known for its wonderful colors and also called "Lec de Ergobando" and can be called Carezza Lake is a pearl of the Dolomiti. 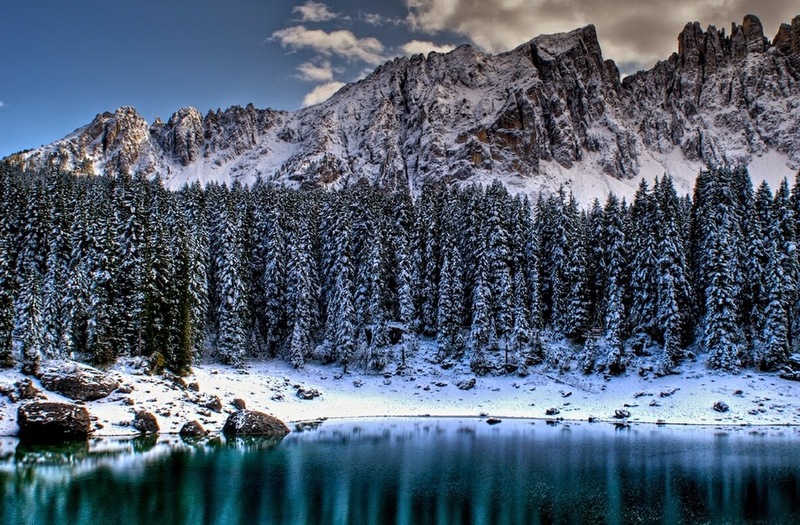 Nestled between an ancient forest of grand firs and the Latemar mountain is place of legends and beauty a nymph lives under its emerald waters. 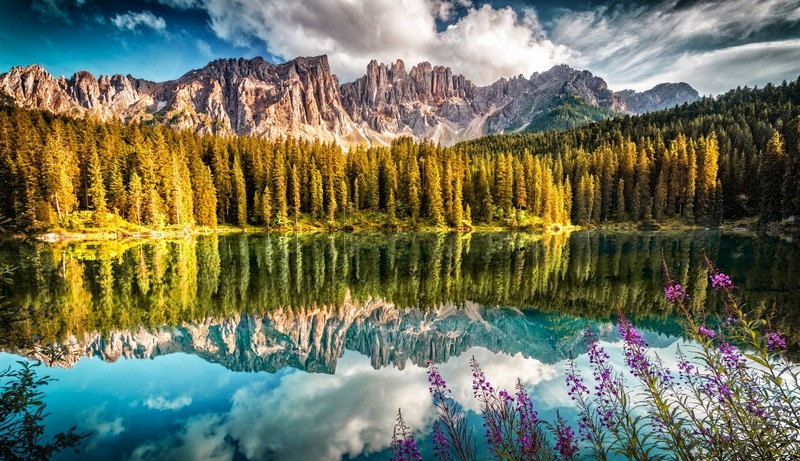 Lake Carezza is the most beautiful lake in the Alps, because its reflection of the Rosengarten creates massive twinkles on the surface like jewels sparkling in the sun. 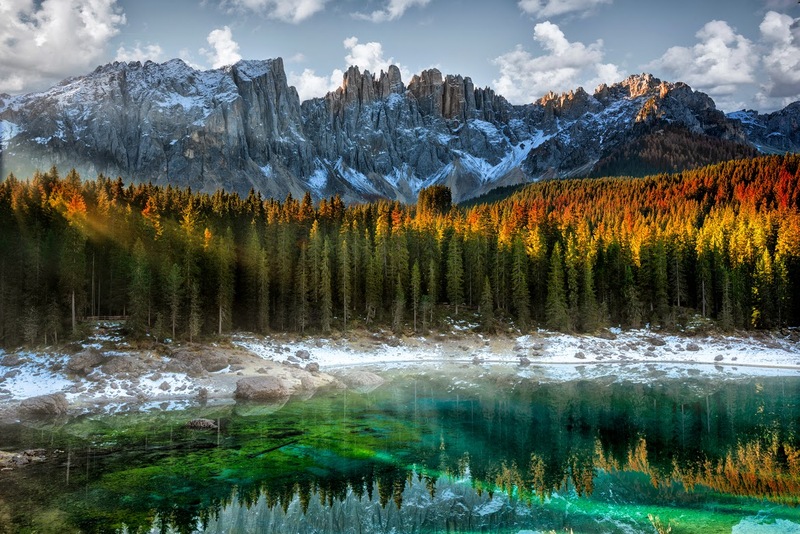 Legend has it that a magician smashed the rainbow he had created to seduce a mermaid into the lake, sending lovely colors tumbling into the water. The chirping birds loved listening to the water nymph, but as soon as they heard some strange noise, they would twitter nervously and fly around in fear. Thus, the nymph would have time to dive into the lake and disappear, and never came into danger. 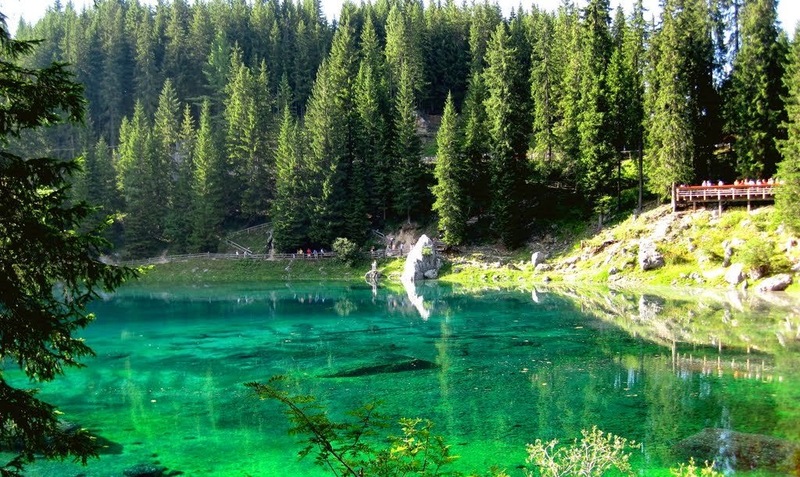 The lake is mainly fed by subterranean springs from the Latemar massif. 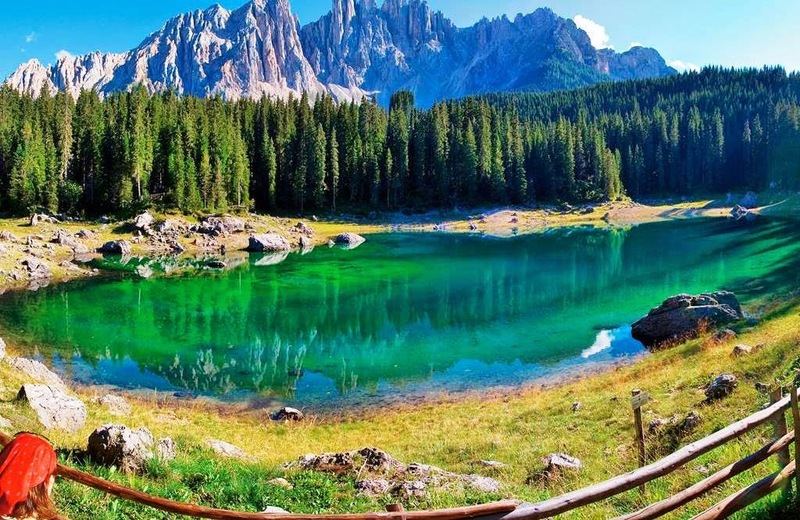 he lake is fenced and it is prohibited to walk on its banks. 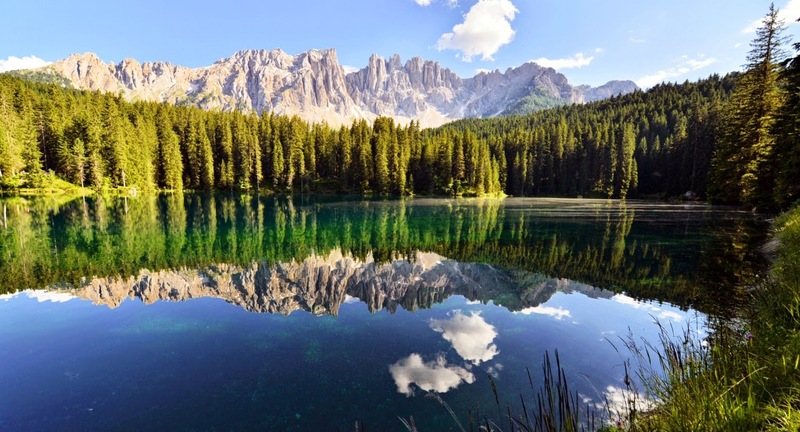 The lake is at its most striking in the evening or early morning, when the streams of tourists have not yet monopolized the nearby car park and the Catinaccio and Latemar mountains are reflected with the green of the Carezza forest in the crystal-clear water. A beautiful water nymph once lived in the lake. 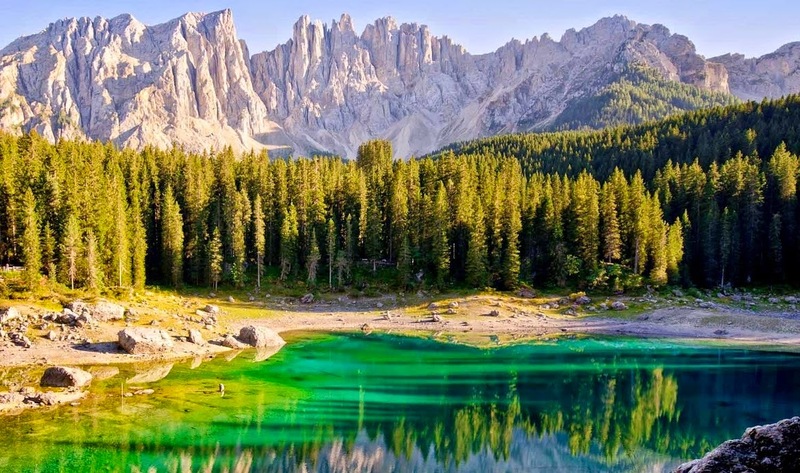 The Lake of Carezza is still filled with the brilliant colors of the rainbow and why the Ladin people call it the ‘Lec de ergobando’, the Rainbow Lake. 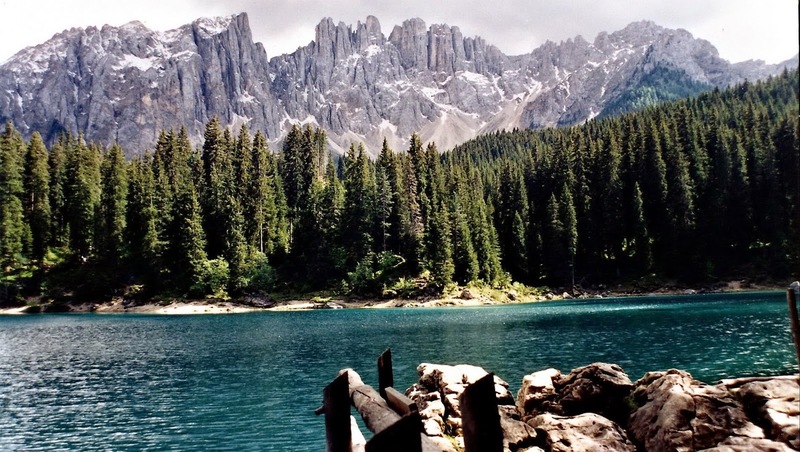 Well; the hiking is a great passion for human health. 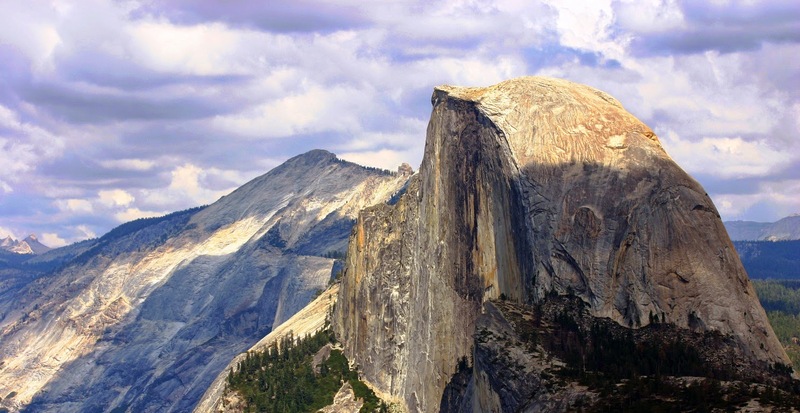 Hiking is an iconic symbol of Yosemite grandeur and “Half Dome” just begs to be climbed. 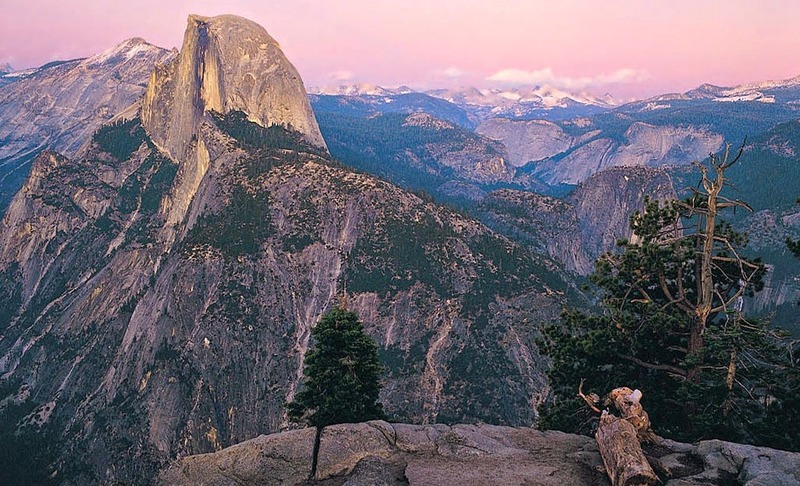 The 7 miles route to this granite landmark through the Mist Trail sees 2,500 to 3,000 folks per day during summer weekends, making it the most heavily trafficked corridor in the park. 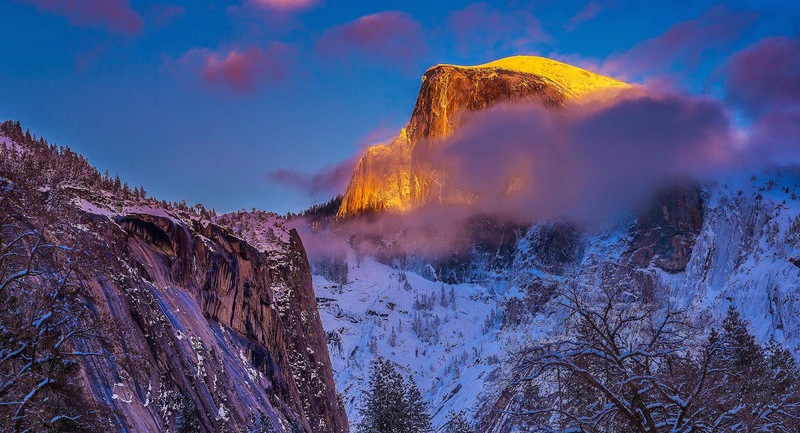 Half Dome is the signature landmark of “Yosemite National Park”. 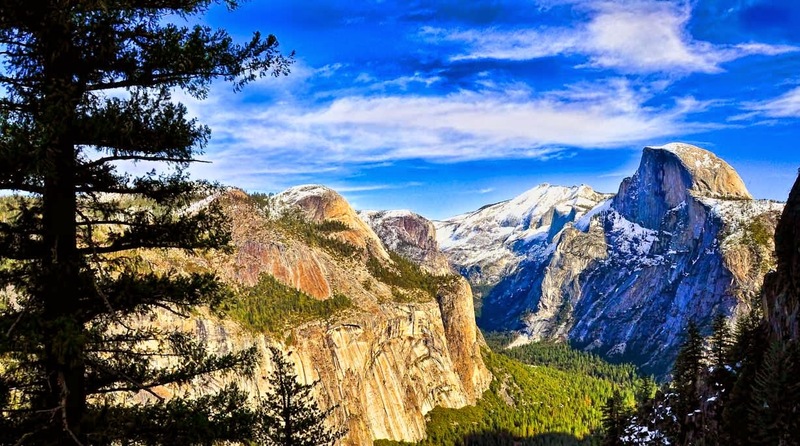 An average man can finish the approximately 16-mile, 12-hour hike to the top of Yosemite’s signature landmark if they have three things: Education, Preparation and Motivation. The most famous or infamous part of the hike is the ascent up the cables. 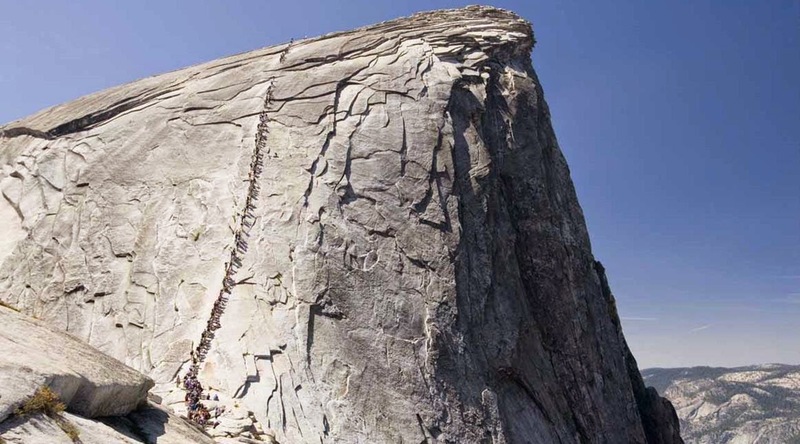 The two metal cables allow hikers to climb the last 400 feet to the summit without rock climbing equipment. 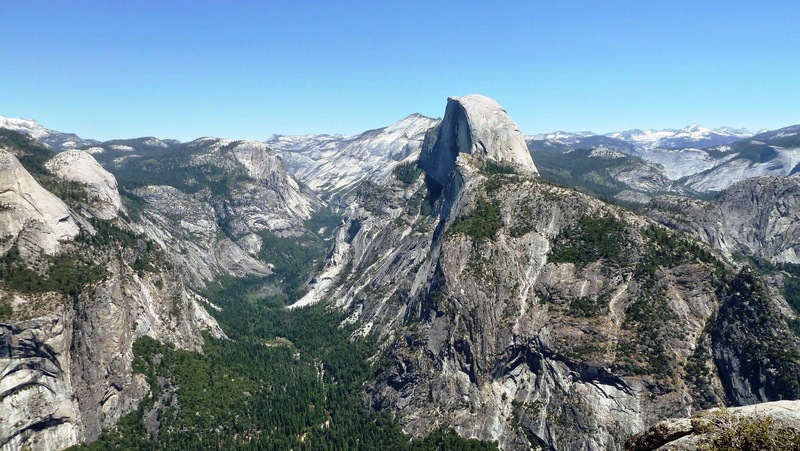 Even though many folks are bear fatigue, altitude sickness, and dehydration in their willpower to stand atop Half Dome’s broad 8,836-foot-high crown. 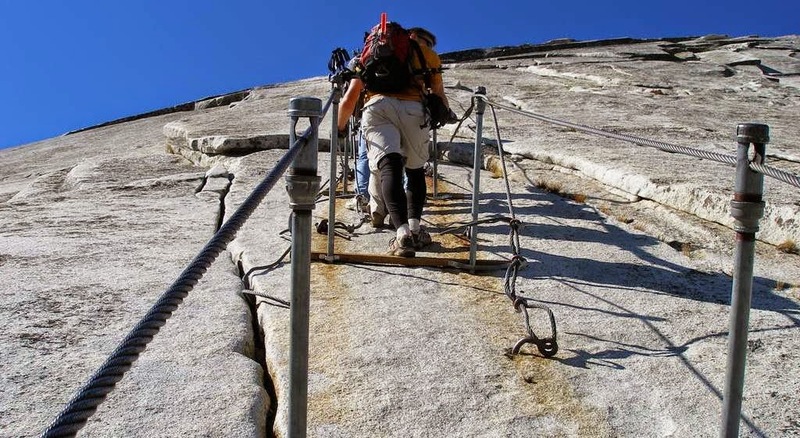 Steel cables bolted into the granite assist climbers up the final 400 vertical feet, but the combination of high, open rock and metal fixtures makes this a lousy place to get caught in an electrical storm. And once the raindrops start falling, the rock becomes dangerously slick. 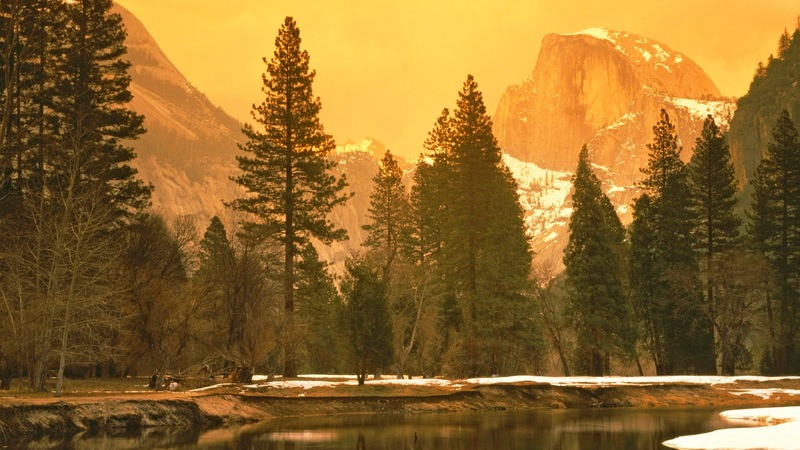 Yosemite’s search and rescue team responds to 300 incidents each year more than any other national park and not surprisingly, and claim six deaths since 1995. So you’ve have to be very fit and honestly survival plan assesses your fitness level. 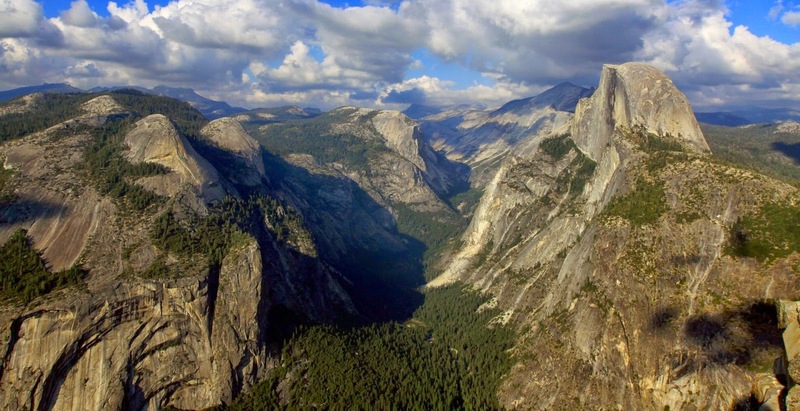 If you want to hike the half dome you'll need a permit. The dome itself reflects the general shape of an intrusion of granodiorite deep underground. 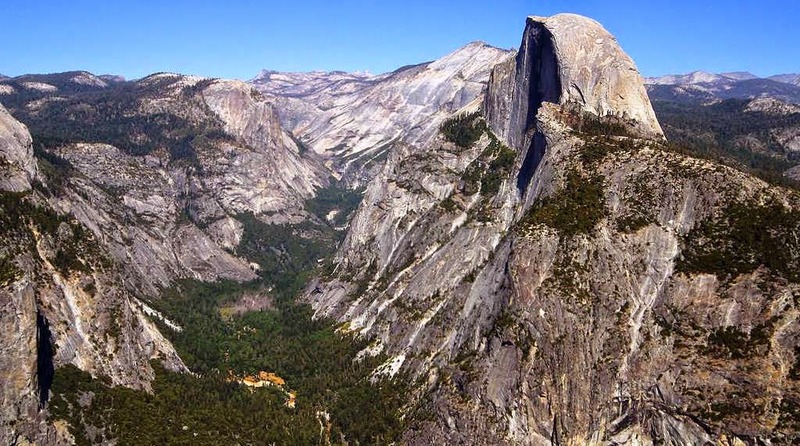 As the intrusion became exposed by erosion, the change in pressure caused the rock to crack apart in thin shells, which fall off the sides and leave the mountain clean. 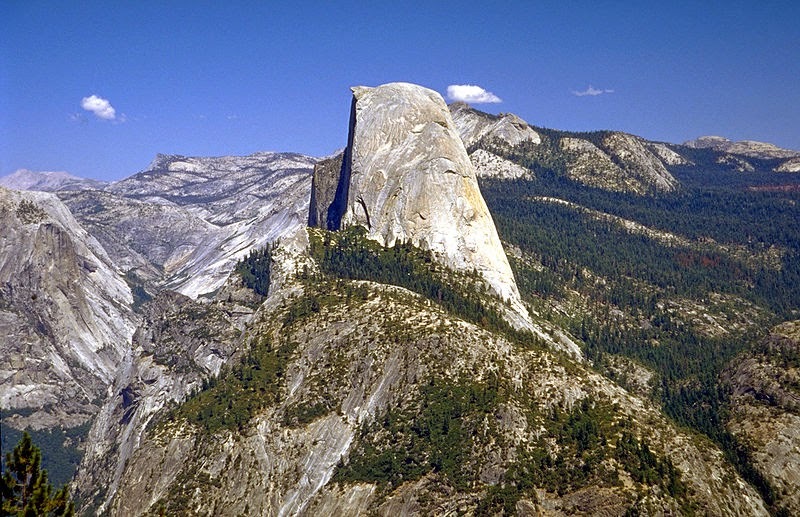 So this process is called exfoliation, and Half Dome is a classic exfoliation dome. The Mist Trail is a hard hike; you’ve to leave early not later than 5 a.m. to give yourself the best shot at completing it. 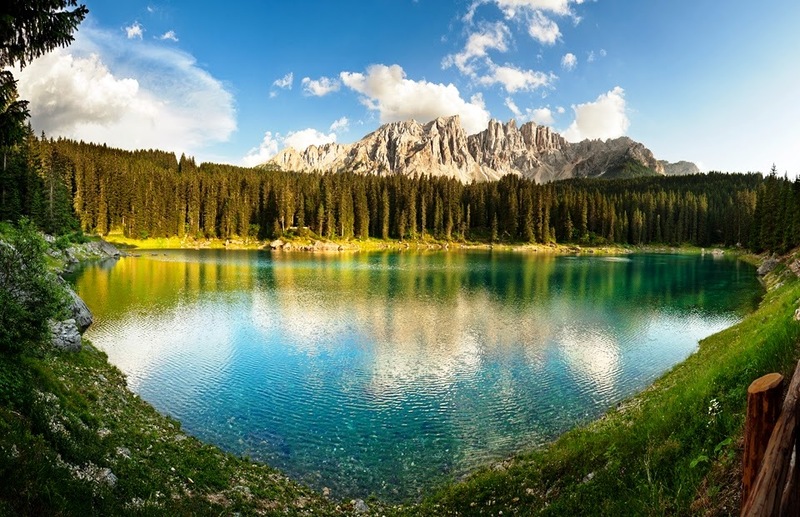 Hike on a weekday between late May and early October, a period when the cables have generally been installed. 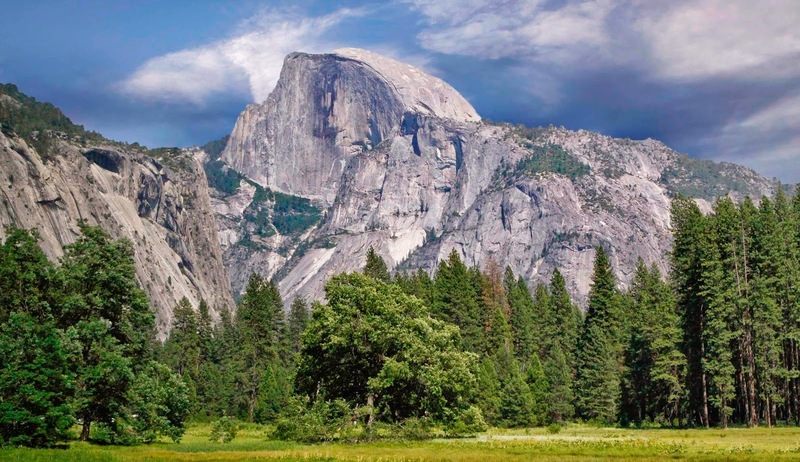 Assess the sky before you commit to the cables, and never climb them when the rock is wet: That’s when almost every fall from Half Dome has occurred. The keys points for success are: 1. Begin early, 2. Wear good boots, 3. Drink plenty of water, 4. Use hiking poles and 5. Use rubberized gloves for the cables. 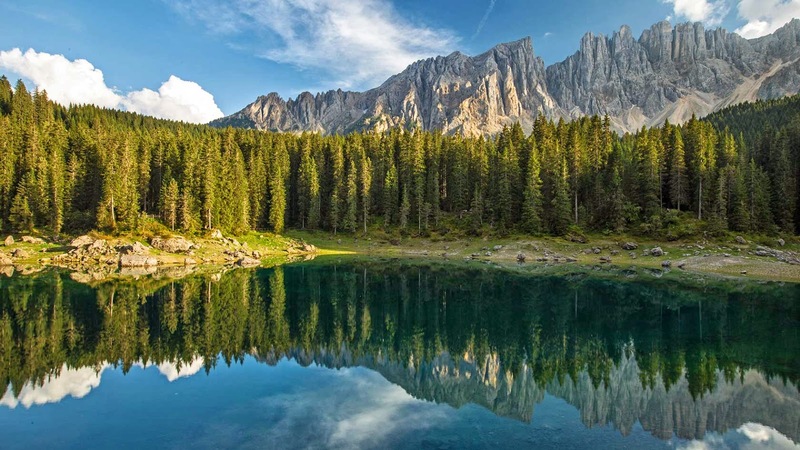 Moreover you must check sunrise and sunset times before you start your hike, and always bring a flashlight or headlamp with good quality batteries. Though the trail is well marked, you should be prepared with a good topographic map and compass, with the ability to use them. 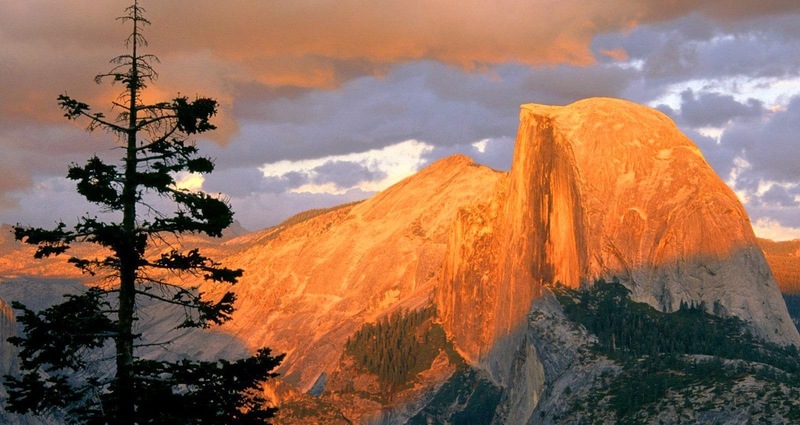 Indeed Half Dome hiking is an instant lifetime memory; so it is recommended you must do it once a life. It is challenging but rewarding folks. 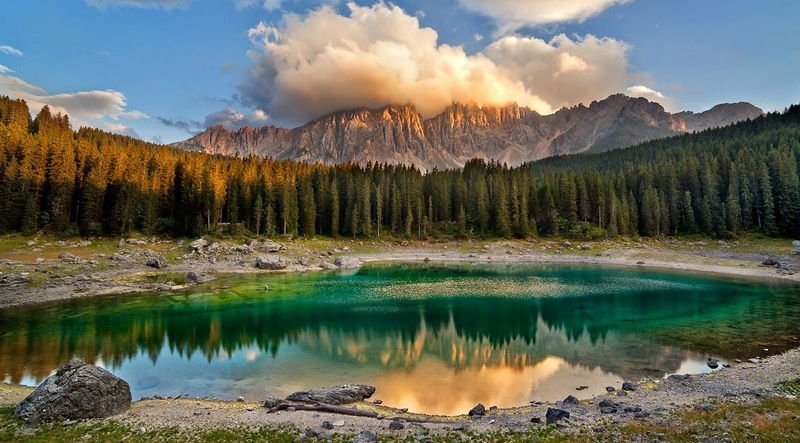 Prepare yourself so that you will be successful and able to summit the peak. 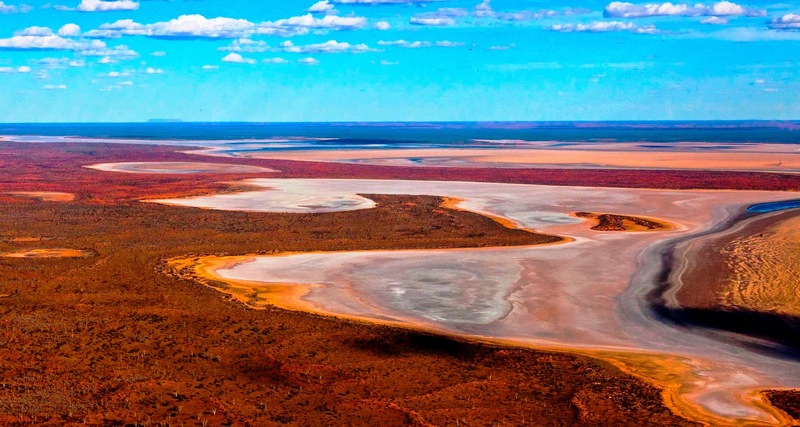 Lake Amadeus is a massive salt lake situated on the southwest corner of Australia's Northern Territory, approximately 50 kilometers north of Uluru or Ayers Rock. 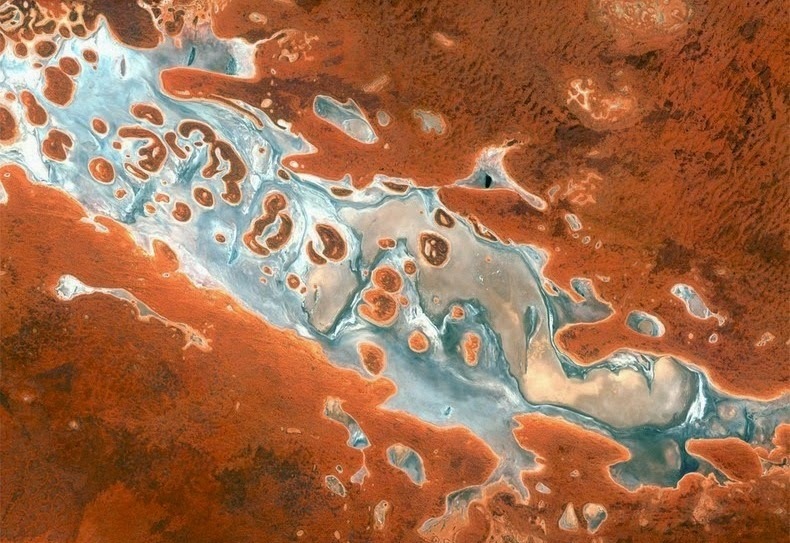 Another, a little smaller, Lake Neale is located nearby to the northwest. 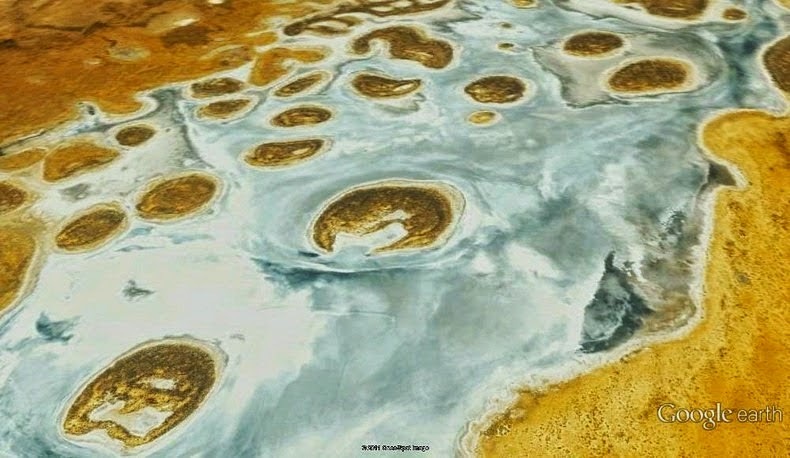 Both lakes are lie on the Amadeus Basin that was filled with sediments eroded from the adjacent mountains over 500 million years ago. 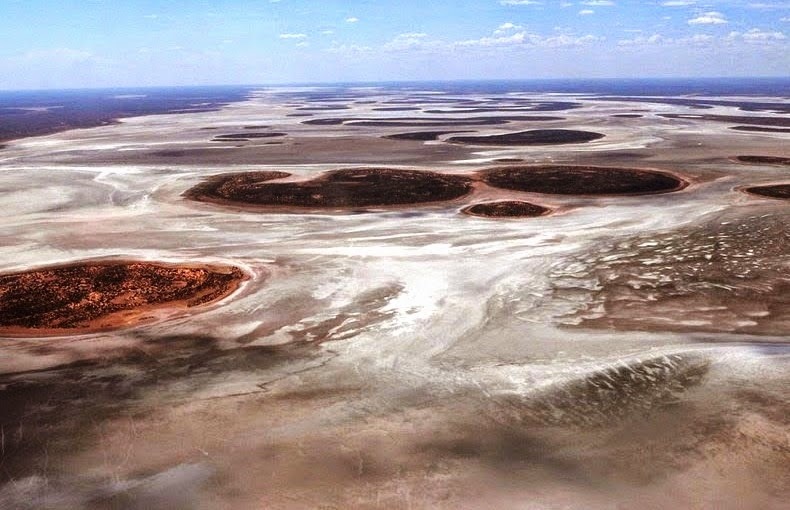 Because of the aridity, the lakes are inundated only during periods of substantial rain. 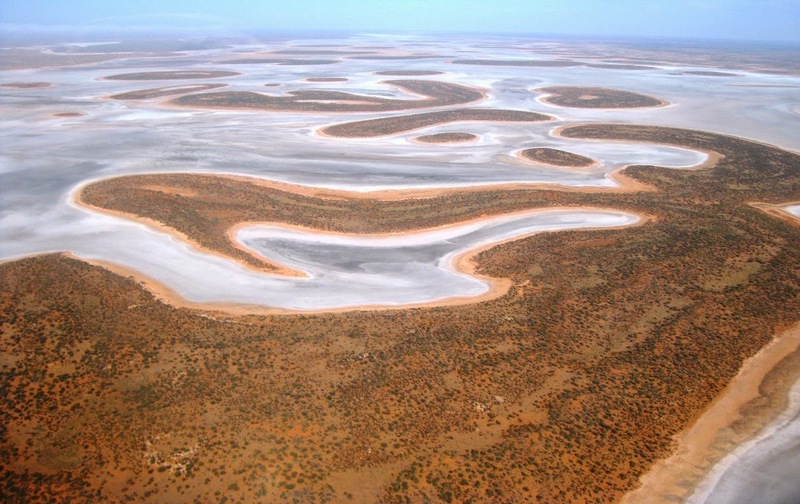 However for the most part, Lake Amadeus remains dry and coated with a thick crust of wonderful white salt. 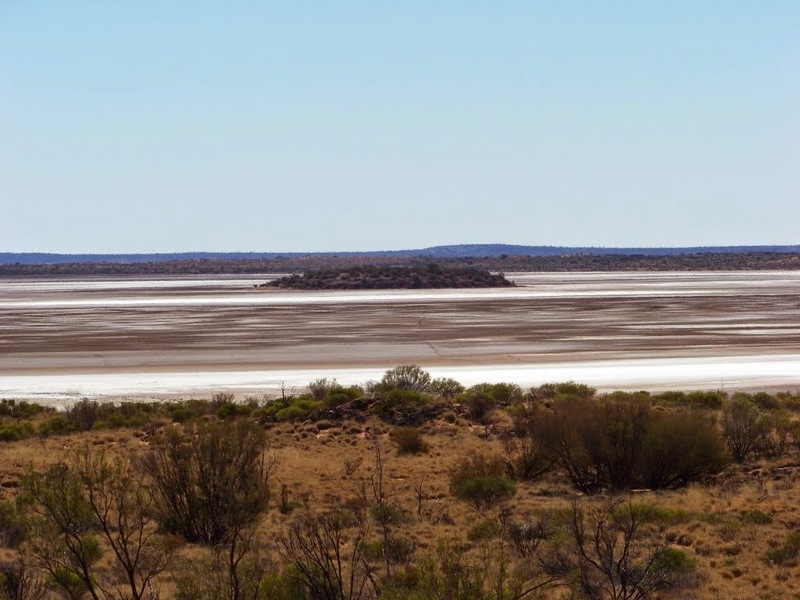 Lake Amadeus is highly rich in salts that have been leached out of the underlying sediments and when it is dry its lake bed is transformed into a glistening sheet of white salt crystals. 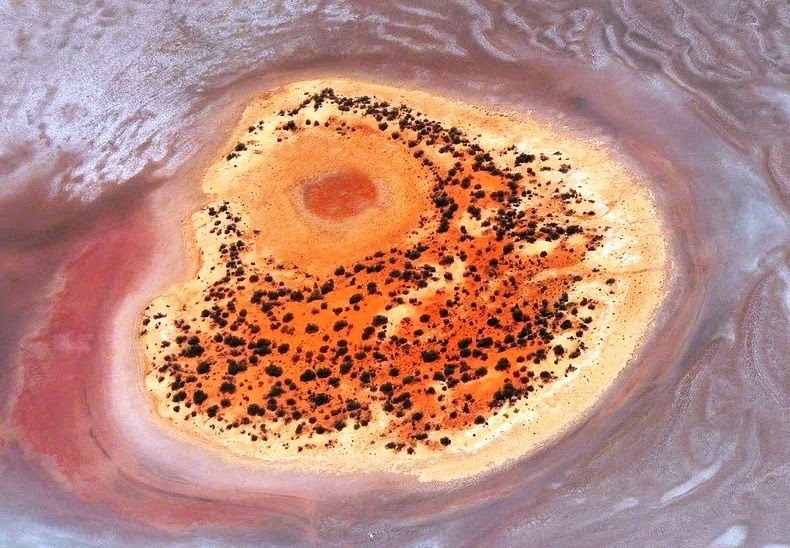 Therefore; dozens of small islands of red sand protrude centimeters above the surface of the lake. 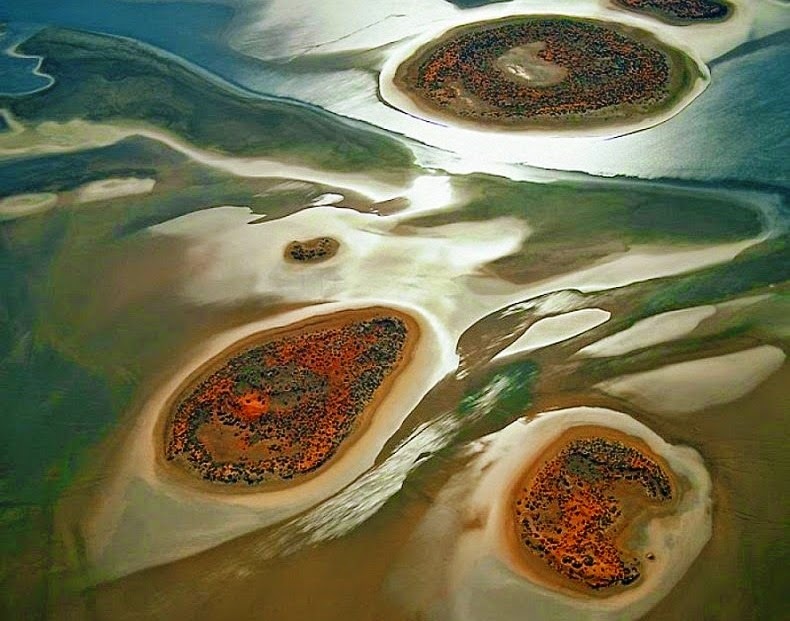 The plants that have taken root on these sandy islands are very hardy, and able to withstand salt as well as heat and drought. 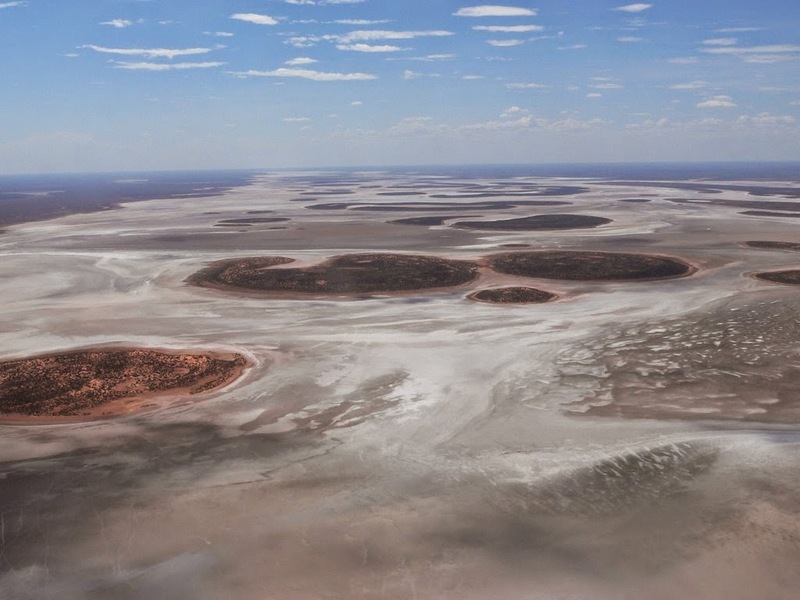 Lake Amadeus is lengthened in shape approximately 180km long and 10km wide, and it is the largest salt lake in the Northern Territory. 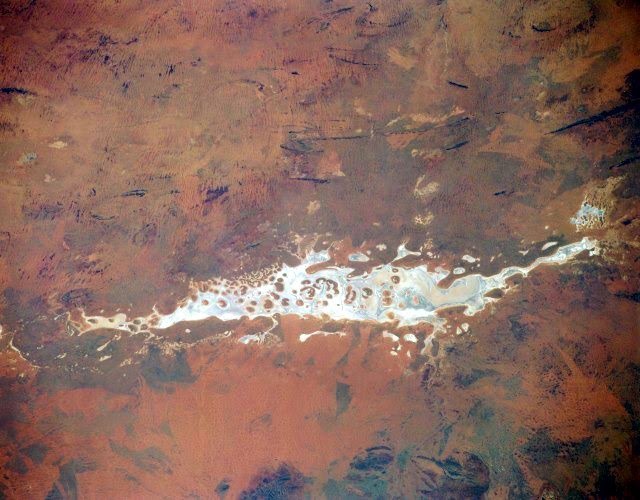 It contains up to 600 million tonnes of salt, however harvesting it has not proved viable due to its remote location. 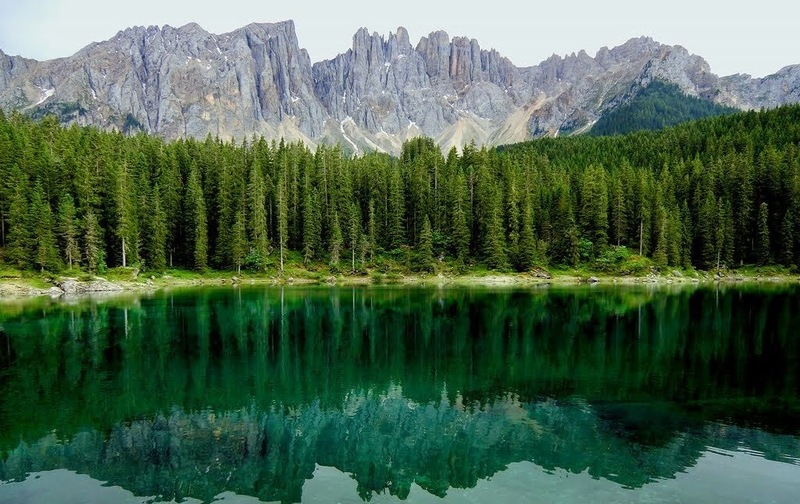 The lake was unearthed by explorer Ernest Giles in his 1872 exploration of the area; he was first European who has discovered this lake. Ernest Giles originally intended to honor his benefactor Baron Ferdinand von Mueller by naming it Lake Ferdinand. Nevertheless Mueller prevailed upon Giles to instead honor King Amadeus of Spain, who had earlier bestowed honor on him. 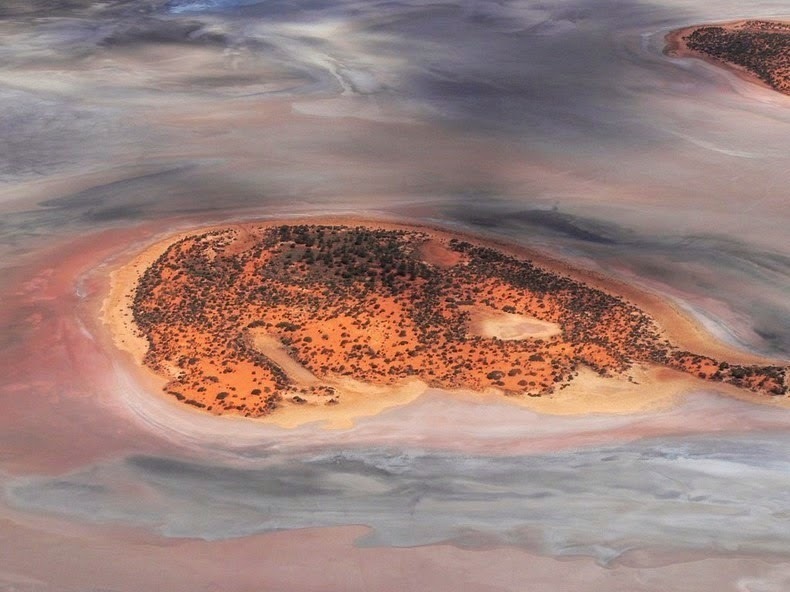 As far as management issue, the increase in the number of camels is of greatest concern. 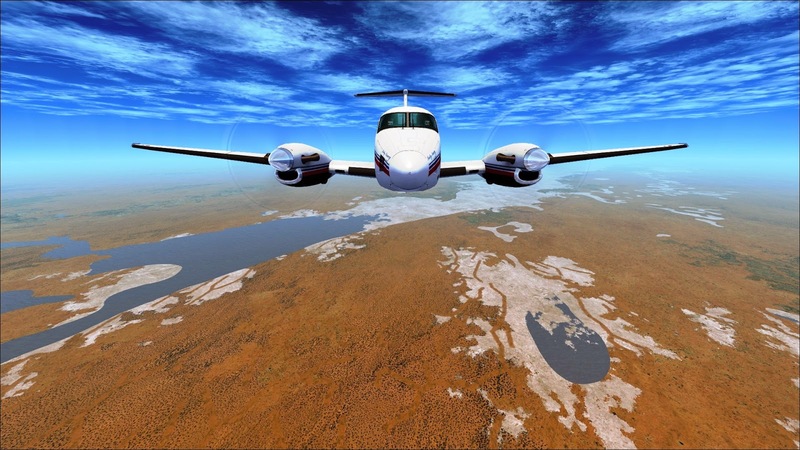 Otherwise, the ecological values of this site are poorly known, as are the processes affecting those values. The fishing site also provides users the capability to with no trouble track fishing catches and experiences with exact GPS location on the body of water, make fishing groups to communication with your fishing partners, find tackle shops fishing schools and marines and port situated nearby your fishing sites and last be not least enter fishing contests to win fishing equipment and supplies.